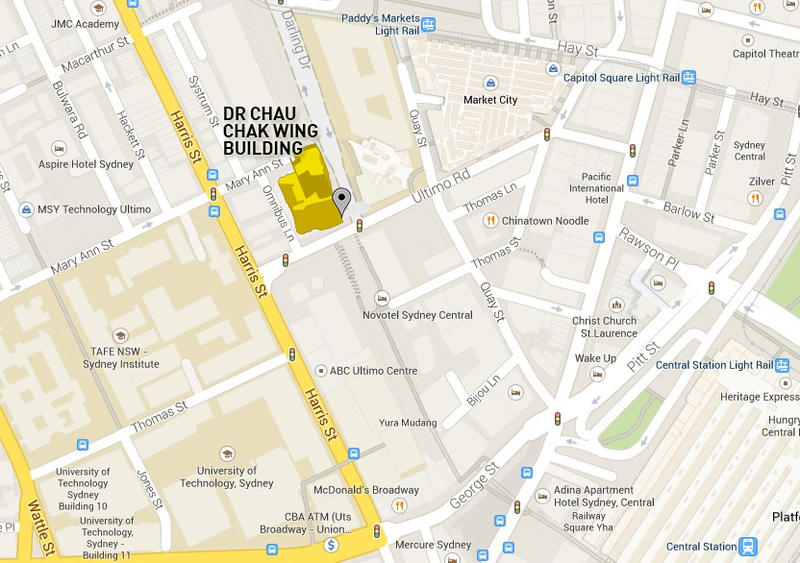 The Dr Chau Chak Wing Building is only 10 minutes walk from Central Station via The Goods Line pedestrian walkway. Transport is available via train, bus, light rail. Parking is limited to street meters and user-pay parking stations. See the location of the building on Google Maps.